A home is not only place for dwelling but also a source of income. Many people invest in property as it provides good income. Renting a home is one of the successful real estate businesses. In City like Bangalore, several people construct houses for earning rent. A landlord would earn better income if he or she built a house suitable for giving rent. If you are a landlord and wants to rent your home, here are some guidelines to choose tenant for your property. Screen your tenant: Let your property after screening tenant and never rent your property to person having criminal background. For screening your tenant, ask for proof of identity such as their copy driving license, letter from employer, credit history etc. You can ask any references or previous landlord’s contact detail. Rental agreement: Make a rental agreement in written where you and tenant need to sign them. Rental agreement must contains all details such as amount received as deposit, monthly rental, period of rental agreement and condition or property or appliance such as detail of number of fan, lighting and fixtures and other appliances provided. Copy of rental agreement should be handover to tenant. Allow tenant privacy: Landlord must not interfere in tenant’s matters that generally annoy them. Allow them to enjoy their own privacy in rented property and let your tenant notice when you access to the property. Realtor or agent: If you are hiring a realtor or agent, specify the terms and condition, type of tenant you are looking for like renting property as PG, only for family, for Men or women etc. 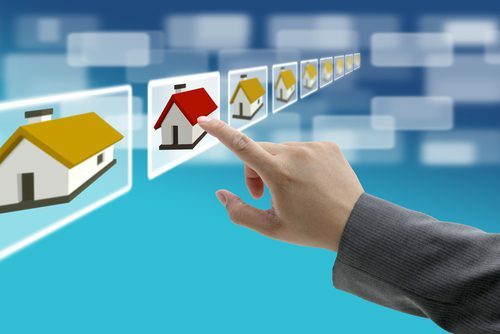 This helps your agent to search prospective tenant for your property. Fair Rent: Rent for your property should be fair rate and current market rate. To fix rent for your property, make research in market and discuss with realtors in your neighbourhood. Fair and cheap rate attracts most of tenant and help you to get good income from your property. Repair and Maintenance: The building need to be repaired and maintained at regular interval. Offer your tenant a decent living by repairing and maintaining your property in prompt time. Prompt repair and maintenance help to build good and friendly relation with your tenant. Secured Deposit: Landlord accepts deposits for ensuring reimburse on loss or damage caused by tenant. Landlord should return the security deposit and give in written details of deduction if any. It will be simple if you setup a fair system of collecting, and returning the deposits. Cleanliness: Provide proper waste management for your house and its surrounding. Ask your tenant to dispose waste or method you adopt for handling wastes to garbage collectors. Keep your property and its surrounding clean. Insure your property: Insure your property and ensure you get best from insuring your property against fire, theft, and damage made by tenant or from other natural calamities. Right and Duties: Know your rights and duties as a landlord and explain the rights and duties of tenant. Remember to settle disputes without lawyers and lawsuits. If required consider neutral third party for resolving the disputes.